Fabulous Emma of emmakwall and brilliant Vern of videovortex. For those of you who haven’t checked out these two blogging gems yet, please go right ahead and do so now! Your’e in for a real treat!!! 1. I love my job, but tend to be slightly resentful when thinking about my salary. 2. I love my family, holidays and cheesecakes. 3. I love taking naps on Fridays… I love to sleep in general. 4. I have a semi crush on my boss. 5. I’m single and way deep into the dating scene. My first thought was to start a blog about dating and single-hood. Might just do that one day. 6. I spend at least 10 minutes on just thinking before getting out of bed in the morning. 7. I’m very friendly, but when I don’t like someone, I’m not making a lot of effort to hide it. Thank you so much. Sending love & kisses right back!! Thank you very much for the award! Congratulations! I like hearing all the interesting things about you, very insightful. You girlz have a GREAT blog!!! Thanks a lot. 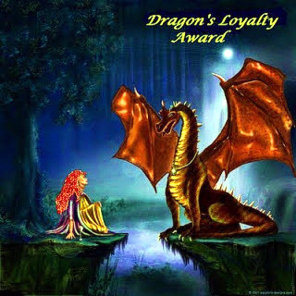 This my second Dragon Loyalty Award nomination. I’ll get to it, as soon as possible. P.S. And Oh yes, I forgot. Congratulations!!!! Well deserved Reut! So sweet of you to nominate me. Btw I love to sleep too. Thanks so much for the nomination. You know how high I rate your blog 🙂 Semi crush on your boss? I’m curious. Thank you, Alex!! I really appreciate you saying that. Made my weekend!!! :-)) I think your blog is great and excellently written! Anyone else at work you could go for? Ha! How would your colleagues describe you? I liked learning a little more about you. I think if you decide to write a dating blog that it would be highly entertaining. Thank you!! I’ll do that one day, I’m positive. It’s on my “to do” list 🙂 you’re more than welcome, really! You have a wonderful blog! Congrats Reut! and again thank you for the nomination. Loyalty is a precious commodity, in life as well as the blogosphere. SMOOCHY!!!!! Thank you so much my sweet, sweet Smoochy!!!!! You are so lovely!!!! 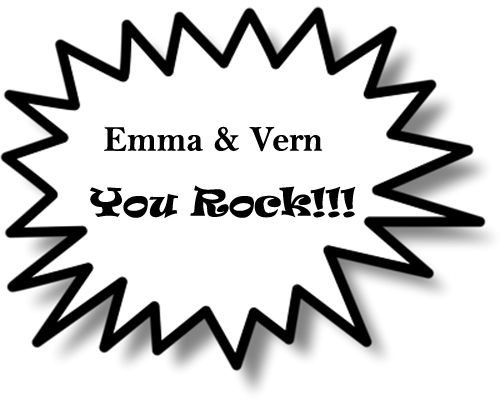 Thanks, Vern!! Isn’t weird how we like like our bosses??? What’s up with that… yeah, it takes me a while but I eventually do get outta bed. Wow, 45 min??? We have a winner, Folks!! I know, there are some amazing blogs out there, I can’t believe it, and amazing people writing them too!! Reut! You lovely, amazing person, I love you! You deserve this award so much! Thanks for the amazing badge in honour of me and Verny (!) I just….love it!! I would concider it, yes!!! I have great and weird dating stories, oh my god!!! Your blog is wonderful! Congrats on the award and thanks so much for the nomination! Wow, congrates! And thanks for the nom! That’s really awesome. We are honored! You’re a more than deserving winner Reut. Thanks for the nomination sister. It’s always great viewing your blog. I wouldn’t say I’m a pro but I appreciated the compliment Reut.